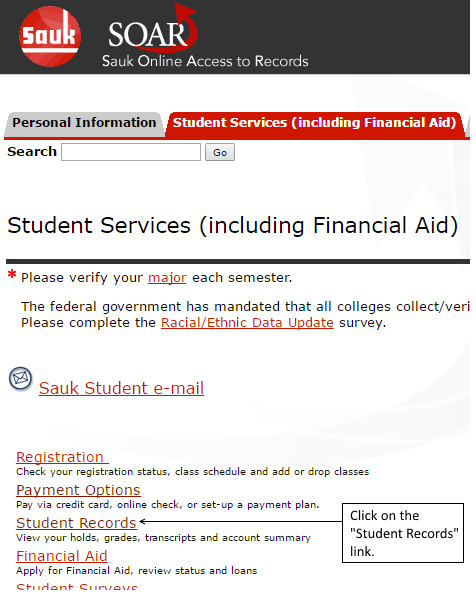 You may not be able to complete certain processes due to a hold on your records. 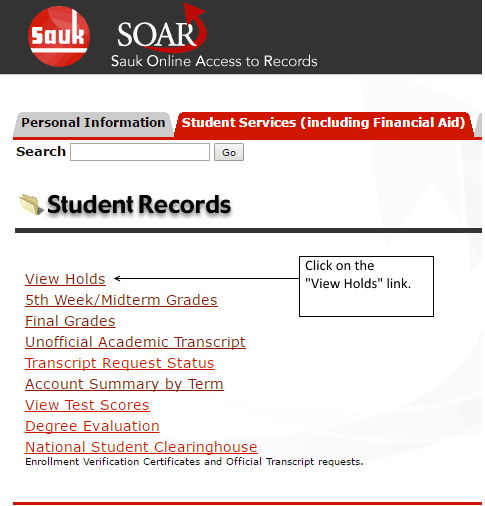 Click on the "Student Records" link. 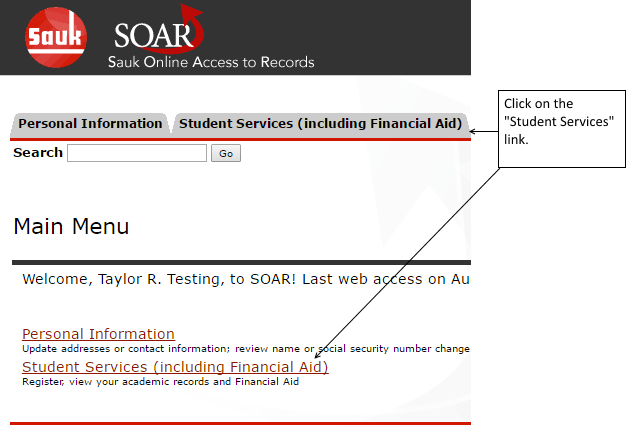 Click on the "View Holds" link. It will be shown here. To inquire about a hold, contact the designated office at 815/288-5511 using the appropriate extension. You will not be able to complete certain processes until these holds have been removed.